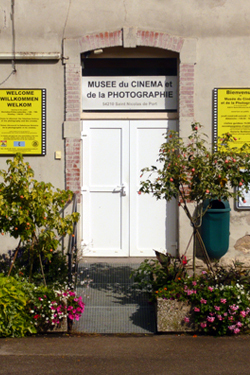 Discover the fabulous history of animated picture, photography and cinema from the origin of humankind until today, in one of the biggest museum in this area in France. Open afternoon from Wednesday untill Sunday (except band holidays) and on booking for groups. Animated graphics, light screening, photography are the 3 techniques wich have been to the invention of Cinema in 1895. The synthesis of the movement of picture found on a greek vessel of the VI th century BC, shows the wish of man to animate pictures. The Shadow theatre : The animation made behind a translucent mist lit by a source of light. The silhouette measure from 10 cm to 1 m. In 1772, Séraphin, native of Lorraine, put up shadow shows like the Chinese. The success received is beyond all experancies. We owe him the popularization of this show in France. One century after the epic of the cabaret “le chat noir” revive the shadows shows up to the creation of features films in 1910. The diorama represent 3D views by the intermediary of sources of light. Thc figures in negative projected on the wall change from positive. The phenakistiscopes of Joseph PLATEAU (1832) make the animation possible by the intermediary of pictures placed in front of a mirror. The anamorphosis (1820): is the process used with a cylindric mirror to recreate drawings voluntarily distorted drawings. The thaumatrope of the doctor PARIS (1825) reveals the phenomenon of the retinal persistence and the fusion of pictures among themselves. The folioscopes are assemblages of decomposed pictures, reconstructing the synthesis of movement. Kaléidoscopes (one thousand flowers tubes) recreate pictures by a play of 3 at 6 mirrors. Chromolithographies are to bt looked in opticals boxes. The zootrope is a cylinder allowing the animation of a decomposited picture. Animoscopes are similar devices with at 4 holes which give about the same impression. The praxinoscope of Émile REYNAUD (1877), constitued by mirrors on pictures opposite, give a real impression movement. The optical theatre of Émile REYNAUD at Grévin Museum in Paris (1892) allows the screening of pictures and of background setting by the magic lantern on a transparent screen. Contraty to the cinema, the machine room was situated behind the screen. An orchestra accompanied these primitive shows. The Caméra Obscura had been famous since Aristote (4 century BC). At the beginning of the XVIth, Léonard de VINCI attached a lens and obtained an improvement of the projected picture from the frosted glass. The painted glass plate showing a subject. In 1642, father KIRCHER created the magic lantern and described it in a book. Firsts lanterns were realized on wood and were often used in fun fairs or by an itinerant views master (identical to model). The savoyard were the first to give this sort of show. ROBERTSON, at the end of the XVIIIth century organized performances of phantasmogaria at « Couvent des Capucines » in Paris, on a parrafined screen used for the projection. The « fantascope » is on wheels. This lantern is manipulated on rail covered in fabric, a cat’s eye allows the appearances of ghosts, as well as screenings on steam accompanied by a mournful voicing. The phantasmagorias produced fright and emotion in the audience. A fresco of a perfomance magic lantern, at the end of the XVIIth century, immortalizes a perfomance made by a views master. During the siege of Paris in 1870, homing pigeons brought transparents microscopic dispaches would will be placed between strips and projected, thanks to a magic lantern, in front of letter-writters. In 1842, a tinsmith Auguste LAPIERRE went into the industrial fabrication of lanterns intend to toy dealers. Lanterns of conferences became succesful around 1900 in the education. These lanterns are the ancestors of slide projectors. Nicéphore NIEPCE (France) discovered in 1824 that a pewter plate covered of Judea’s asphalt and exposed on the light, let a picture appear (time of exposition : 10 jours). Louis DAGUERRE (France) manages to fix a picture on a copper plate covered with silver and sensitized by vapours of crystals diode. William Fox TALBOT (United-Kingtom) obtained a negative on paper allowed the positive printing on illimite number (the collotypy). This process was improved and led to the photography industry. Photograph with rolls of films. The studio reproduced is a studio of the years 1860s-1870s with a big darkroom which has a glass sheet over which going emulsify sylver salts on the colladion. Considering the limited sensitivity of the glass sheet, the time of break was approximatly around 15 minutes. A chair equiped of a headrest permits to limit movements during the shot. The decor in grisaille was used in the absence of colour photography. First photographers often were painters or portraitists. First itinerant photographers had to carry about 70 to 80 kg of material. Stereoscopic cameras take 2 simultaneously negatives of a same subject on two points spaced of a distance equal to the eye space. A viewer allows the simultaneous vision of two negatives, each eye just sees one negative. In these conditions, the effect relief is real. The first public and paying show took in place in the « salon Indien » of the « Grand Café », boulevard of Capucines, Paris, the 28th December 1895. 10 films were shown (film of 10 mm for one minute lenght of time per film). The creation will be soon attract crowds of people and go round the world. The great adventure of the cinema had jus started. At the beginning, first cinematographes were reversible, they served as cameras and projectors at the same time. They are compsed of essential elements of the camera plus a moving system of films, by claws, for realize 16 then 24 pictures/seconds for the sound cinema. In 1892, Edison created the perforation of the 35 mm film for the driving of the film. Film so called « flamme » on celluloid (nitro cellulose) were extremely inflammable. There was 1952 to make films composed of acetate of cellulose. The light source so called lantern (oil, oxyhydrogen torch, electric arc, incandescent lamp, xenon burner). The evolution of the light sources permitted the development of big screen and of the cinemascope. A special mecanical device called CHRONO debt based on a Maltese cross or a claw for the moving of the film. Immobilizes the film during the projection, then moving on to another picture, but an obturating process overshadows the projection and thanks to the retinal persistence, this overshadow remains unnoticed. Each negative measure 18x21,5 mm and 1 mm of space between negatives for 24 pictures/second, one hour of projection required 1641 meters of film. In 1927, the soundtrack was made by the reading of a disc. 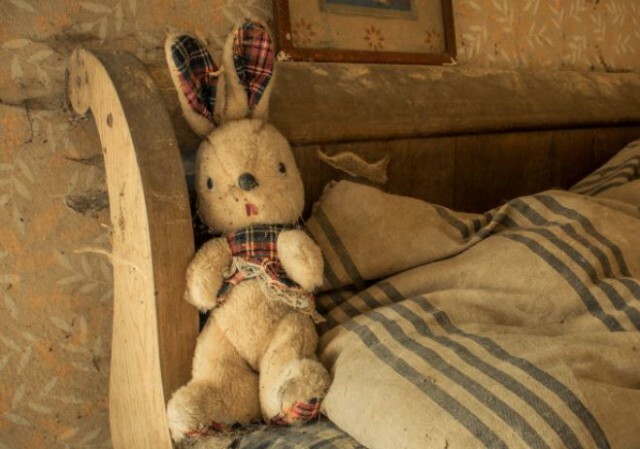 A sound track for optic character reader was included on the right part of the film in 1928. First colour films, paintings pictures : 1932 technicolor proposed a camera which recorded on 3 negatives (red, blue and yellow). From the sixties on, most films were made in colour. In 1908, Léon GAUMONT had the idea of making a film with a smaller format than the 35 mm. The 15 mm with central perforation was chosen but for a short time. Chales PATHE, in 1926, created a 17,5 mm film begun on a 35 mm split in two. This format called PATHE RURAL. The Americans and the Germans, for their part, developped a 16 mm format. In 1923-1924 : first camera and projector of the Victor Society (US) before the Kodascope of Kodak which will have very speedly a reflex view finder option and an electric engine on battery for the camera. Bell and Howell were also present with the Filmo camera. Niezoldi and Kramer’s houses of Munich (Germany) made the first European camera : the Nizo 16, in 1926. Synonymous with small format, the 16 mm substandard format is international. In 1941, the 17,5 mm format was banned by German order of the Propaganda ABTEILUNG (transformation of cameras in 16 mm). 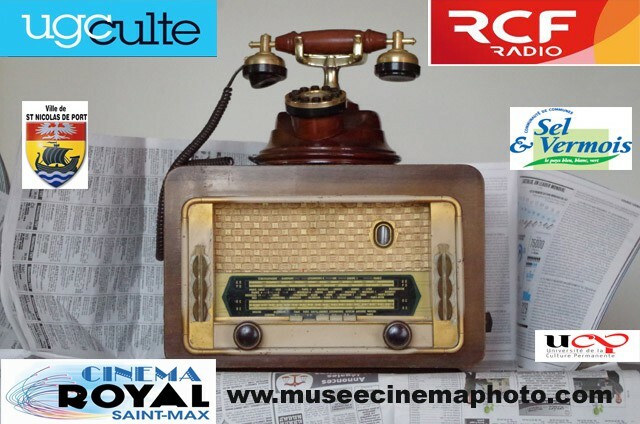 Silent films then sound films are made and used by all milieu : the education, industry, advertising, small professionals cinemas in the countryside, cinemas travellings. The 16 mm format will also used by wealthy amateurs. The projectors cameras and cameras are made of the same elements that as the 35 mm material. The 16 mm films followed the same evolution : sound films, colour films, cameras and projectors with claw. The budget aspect contributed to the sucess of the 16 mm, the cost of material and the cost of films being inferior compare with the 35 mm. 35mm, it is the format of cinéma films and 24x36 is the format of the negative on mm. First model in 1924, the LEICA created by Oscar Barnack (Germany). Reflex cameras developped from 1960. Until 1970, all cameras were only mecanic. Electronics permited a fast evolution. The cameras most famous are : Leica, Kodak (rétinette), Zeiss Ikon, Nikon, Canon, Optic Précision of Levallois (OLP) Foca, Royer. Autofocus Compact Cameras : first model in 1982. First model in the 1950s : the PACK MATIC of the Fex society (France). Produced 1000 models : commercial failure. The generation of disposables in the 1990s uses 24x36 films. Marketed by the POLAROID Society since 1947. Pictures accessible in 10 seconds, cassette of 10 views. From the 1970s, automatic focusing by ultrasonic sounds, the in 1978 autofocus cameras. The colour films are composed of 15 coats (1 receiving the picture, 3 of silver « halogenure », 1 neutralives coat…), very beautiful technology. Have existed for about hundred years under differently names : calculateur of exposure, exposure at extension, « actinometre », « luxmetre », electric Photo cells. Measure the light for an ideal regulation of the exposition (rapidity, aperture). First Electric Photo Cells in 1932 by the Weston Society (The United State). Today the cell is incorporated in the camera. Simple and Compact cameras of popularization. Fix Objective, focusing by symbol, loading facilitated by cassettes. Aroun 1900 flash gun : combustion in open air of magnesium powder, a primer sets the magnesium on fire. In 1925, this light powder is shut in a plug without air. Birth of the flash plugs (blues lamps for the colour photos and white lamps for the black and white photos). In 1945, the brightness lamp is created, it will be soon become electronics flashes.